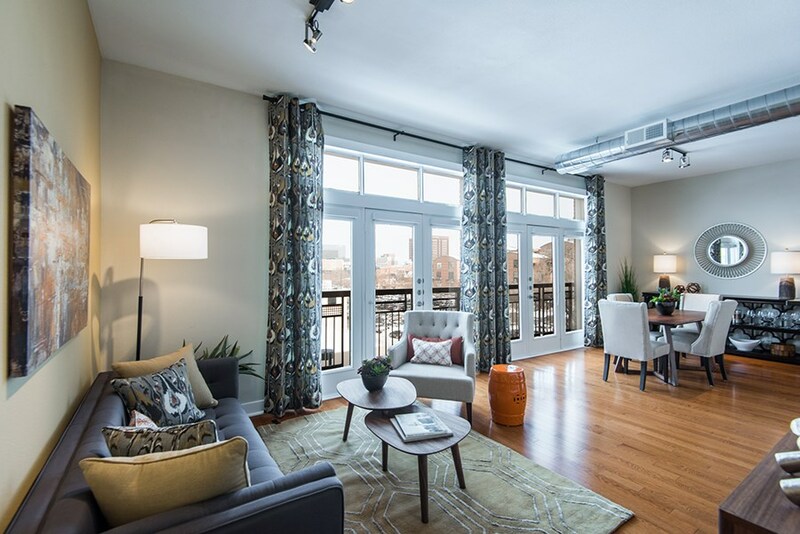 The Boulevard Luxury Lofts offers studios, one, and two bedroom upgraded floor plans built to be the finest luxury apartments in Denver. Our pet friendly community features premium finishes and fixtures not found in most Denver rentals, plus a superb mix of amenities perfectly suited to our ideal location in the Golden Triangle across from Cherry Creek Trail, and just minutes from Downtown Denver. Good building, bad office staff. The carpets in the hallways of the building are stained and continue to be so. For the cost, the place is great. It is an expensive place and the layouts are not good for more than one person since sound travels in loft. My dishwasher never works well. The apartment needs another locker but the solution is to have packages in a locker that are accessible only during business hours. Resident events only take place around when surveys are put out. The aux audio in the gym never works. Thank you so much for taking the time to provide feedback. We greatly appreciate it and are sad to hear that your apartment layout does not meet your needs. We do have 24 different floorplans that we are more than willing to show you if you are interested in transferring. We have also reached out regarding your other concerns and look forward to serving you better. The gym and common areas are nice, however the neighborhood does not have much to offer and I have concerns that with new buildings nearby business will become more crowded. It is too loud. I get woken up at least once a week during the work week from people partying. Also it is pretty expensive for how out-dated the apartments are. We have not lived in an apartment for over 30 years. We are so pleased at how quiet it is to live here. We have had a great time at the events organized by the property. Also, this location is ideal for our needs. The amenities such as the kitchen, theatre, and computer work area have giving us extra space when we needed it on occasion. Thank you for taking the time to fill out our survey. I hope that you have noticed the improvements that we are trying to make. I believe that it will continue to improve. We will be replacing carpet in the hallways next month which should help look nicer. The building and the ementities are filthy. I don't mind that they attempt to "update" the apartments and the building with shiny/updated appliances, but the least they could do is ensure that the entire facility inluding the apartments at move-in are CLEAN. Than you for taking the time to fill out our survey. Your feedback is greatly appreciated. I apologize that you are not happy with the cleanliness of the amenities or your apartment upon move in. I would like to remedy these issues. Could you please let me know more in detail the concern or the exact areas that are an issue? As far as the hallways we have been removing carpet and replacing with wood plank in the heavy traffic areas. We also have been repairing drywall and touch up painting. It is an ongoing effort to maintain the hallways and amenities. Have a great day! The location is fantastic for anyone looking to live or do business in the golden triangle area - or anywhere downtown for that matter. The apartments are nice and its a very easy going atmosphere. Especially if you're a dog lover (which I am) - dogs everywhere...it's pretty cool. Thank you for taking the time to fill out our survey. We greatly appreciate your feedback. We are very happy to have you as a resident. Please let us know if ever need anything. This apartment community has all the latest and greatest amenities and they are well maintained. It is unusual for a maintenance person to stop and introduce themselves to you letting you know how much you would enjoy living in the community. The price seems a little high but when you consider the size of the apartments, the amenities available and the closeness to all Denver has to offer it is a fair price. Thank you for taking the time to review The Boulevard. Your feedback is greatly appreciated! The Boulevard offered upgraded apartments in the heart of the Golden triangle. I had an enjoyable visit at this community. Thank you for taking the time to help with this resident survey. I greatly appreciate your feedback. Itâs a huge help to me, and my continuing efforts to provide our residents with the highest level of customer service possible. Please feel free to contact me directly, if there is ever anything you need. The leasing agent was personable and presented the community in a positive way that created excitement and positive energy.